Unlike other islands, Mallorca has really everything and the island is imbued with history. In the southern and eastern parts of the island are some of the cleanest and most beautiful beaches in the entire Mediterranean. In the northeast we find small protected bays and in the center of the island, a lush agricultural landscape. To the north stands the beautiful Tramuntana mountain range. 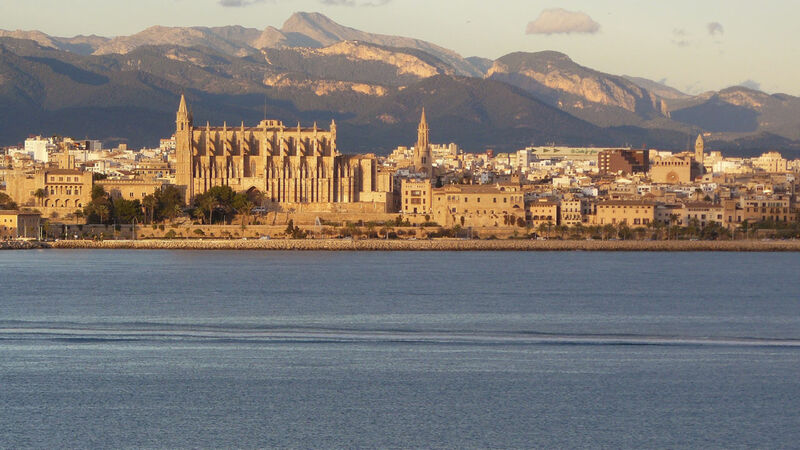 The capital - Palma de Mallorca - is a modern, cosmopolitan city that feels more culturally vibrant than ever. Here is a wide selection of bars, cafes and restaurants offering culinary melting pot of international and local influences. Palma's shopping streets are famous. For those who are interested in architecture, art and history the island offers many attractions. On Mallorca, you can exercise all possible sports such as tennis, sailing, surfing, hiking and cycling sports. As there are 22 golf courses that are open year round, Mallorca is a paradise for golfers. Mallorca's housing market is most stable in southern Europe and offers an opportunity for everyone. Welcome to Mallorca, our paradise! The modern infrastructure of Mallorca, its fantastic climate, its strategic location with only two hours flying time away from all the major European capital cities, its secure and safe environment, its cosmopolitan atmosphere blended with its culture and unique character makes Mallorca an irresistible destination for first and second home buyers. The ongoing success of Mallorca’s real estate market is mainly thanks to the fact that the island attracts not only a strong national Spanish market but also an excellent spectrum of international buyers with the British and Germans emerging as the dominant European clients and Scandinavians catching up lately. Mallorca’s reputation as a quality and luxury destination has impacted the real estate market, particularly in the last ten years, with high demand for sea front locations, historic properties and traditional “finca” style. The island offers excellent medium-long term opportunities as a safe and secure investment. Mallorcaresidencia’s goal is to present the most suitable real estate options to its clients. More about what properties we can offer in Mallorca can be seen below.